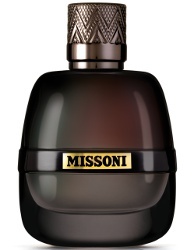 Missoni will launch Missoni Parfum Pour Homme, a new fragrance inspired by the Mediterranean landscape. Notes for the aromatic woody fougere include green lemon fruit and leaves, pink grapefruit, lavender, herbs, ginger, jasmine, pomarose, patchouli, sandalwood, oak, birch and musk. Missoni Parfum Pour Homme will be available in 30, 50 and 100 ml Eau de Parfum and in matching grooming products. I was surprised they didn’t “match” the bottle to the feminine version. The bottle seems like a modern take on the original Missoni Uomo. This is a must have for me. Can’t wait to find out where I can get this. I think Bloomies had the feminine one first in the US? Thank you. Thank you. Thank you. Have a lovely holiday weekend. ??? ?